A friend of mine, Jason Kish, recently nominated me to do the 7-day "most influential books" challenge on Facebook, and I accepted because it seems like a good way to spread some positive messages rather than all the negativity. I decided to add it to my blog. So here are 7 books that changed my life or influenced me greatly in my spiritual quest. Maybe they can change your life too. Day 1. 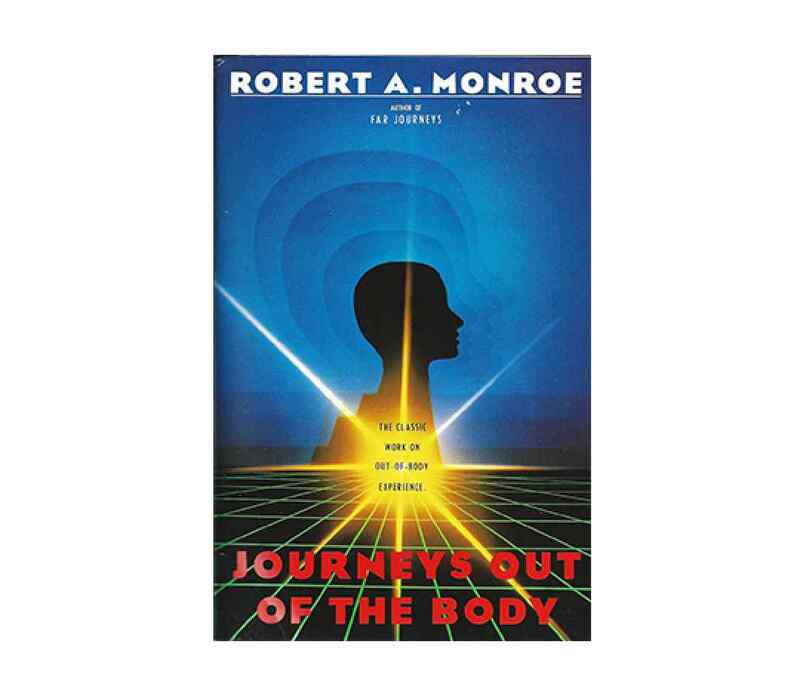 The first book that really changed my life is Journeys Out of the Body by Robert Monroe. Before reading that book, I was shallow and materialistic. It opened my mind to literally new worlds and new ideas. It taught me that we are more than our physical bodies. Day 2 of the influential book challenge. This book, Living Loving, & Learning by Leo Buscaglia also had a big impact on my life. Buscaglia taught me a lot about love. He taught me that it's okay to be yourself, to act goofy, to show love, to be crazy. Men especially need to hear these things: it's okay to feel your emotions and to show your emotions, and to not care how other people see you. Great read. He's also got many wonderful video lectures. Take the time. Day 3 of the Influential Book Challenge. 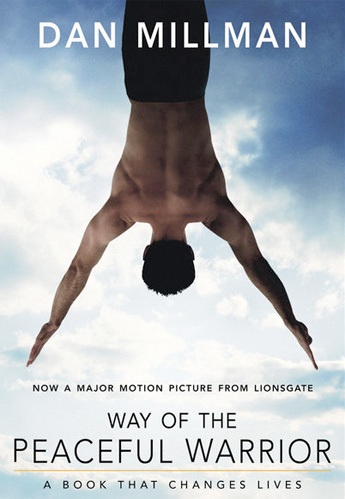 Today's book is Way of the Peaceful Warrior by Dan Millman. I read this book after the entire Carlos Castaneda series, and I liked it better. CC emphasized developing personal power and integrity in a hostile spiritual world where, in the end, you're on your own. But Millman takes a more more "heartful" approach. He taught me that ego--the little screaming temper tantrum kid inside us--is the problem. He taught me the importance of quieting the mind. He taught that everything in life has a purpose, that everything in life has a message for us. He taught me that I needed to open my eyes and not just look, but see. He taught me to reject attachment, even when it comes to our own feelings; to express feelings, but let them go. That death is only a transition, and that we should celebrate life NOW. Most importantly, to keep a well-rounded sense of humor. SO many good lessons in there. Day 4 of the "7 Most Influential Books" challenge. 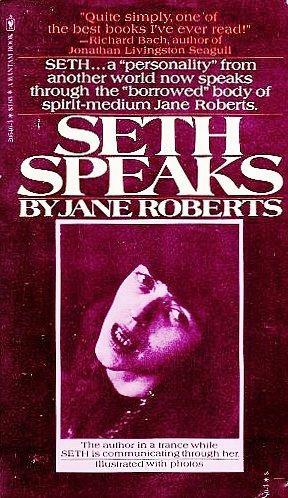 This time it's Seth Speaks by Jane Roberts. This is a dictation from a channeled personality or "entity" who called himself "Seth." 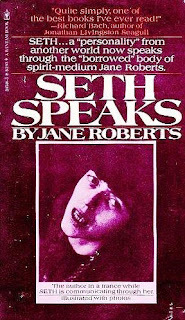 In other words, Roberts would go into a trance and, after assuming the role of "Seth" would dictate hours of well written, well organized and well thought-out material. This is channeling before channeling was cool, or probably even a word. A specialized form of DID (Dissociative Identity Disorder) perhaps? Skeptics may say so. Jane herself said Seth was another part of her individual being. 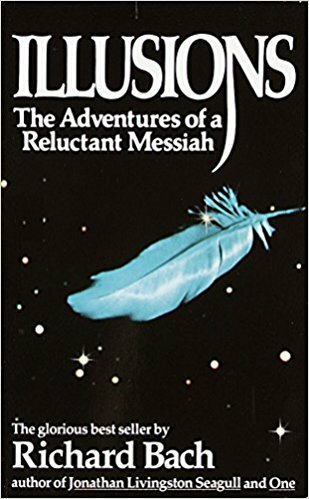 Regardless, this book taught me that "Your belief creates your reality." Even if you discount the supernatural aspect, your core beliefs, attitudes, prevailing emotions and framework all directly influence your experience. I've seen it firsthand. If you have a negative attitude, bad things often happen. If you have a positive optimistic attitude, good things often happen. Learn to control, understand and change your beliefs, and you will change how the world treats you. This taught me that the Universe is basically a mirror, with experiences reflecting back from your own source. I actually think her book The Nature of Personal Reality is better, but Seth Speaks is the book that got me hooked. Day 5 of the Influential Book Challenge. 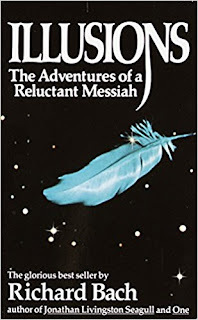 Today it's Illusions by Richard Bach, author of the popular "Jonathan Livingston Seagull." JLS was too mainstream for me to like it, but I loved "Illusions." I gave serious thought about whether I should list Bach's book "The Bridge Across Forever" instead, because I love that book's true-life adventures of love and soulmates. But Illusions is what I read first, and it influenced me more, even though it's fiction and very short. I loved Bach's quotes from the Messiah's Handbook, like "There is no such thing as a problem without a gift for you in its hands. You seek problems because you need their gifts." or "Argue with your limitations, and sure enough, they're yours." or "You are never given a wish without also being given the power to make it true. You may have to work for it, however." It undoubtedly influenced my own novel, "The Gospel According to Mike" in which I also quote from a fictional book of wisdom. Day 6 of the Influential Book Challenge is Autobiography of a Yogi by Paramahansa Yogananda. Yogananda was one of the first masters of Yoga to come to the United States and bring meditation and Eastern philosophy to Western civilization. There are a lot of fakes and frauds out there, but Yogananda was the real deal. His entire life was dedicated to God. This book tells the story of how he always yearned for God, even as a little boy in India, running away from home several times in search of different gurus in the Himalayas. It also tells about the many gurus he met in his travels, and many miraculous things he witnessed firsthand. For example: Many fanatical Christians believe Jesus Christ was the only true son of God, and to back that up, they claim Christ was the only person to have returned physically from the dead. I've had Born Again (Pentecostal) Christians knock on my door and try to use this argument. Sorry to burst their bubble, but Yogananda's guru, Sri Yukteswar, also appeared to Yogananda physically after his death. 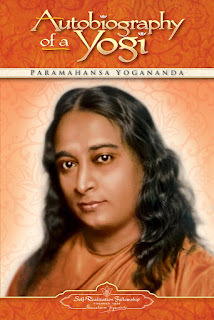 I've since read several of Yogananda's other books. For example, I studied his two-volume hard-bound translation of The Bhagavad Gita (which many would call the Bible of Hinduism) for something like two years, but Autobiography was more influential. It's a great place to start if you want to learn about Eastern philosophy. I love this book. The Tao Te Ching by Lao Tzu, the holy book of Taoism. The Clairvoyant by Hans Holzer, the story of a misfit psychic who had to come to terms with her spiritual gifts. Some Men Are More Perfect Than Others by Merle Shain. How to Live With Another Person by David Viscott. 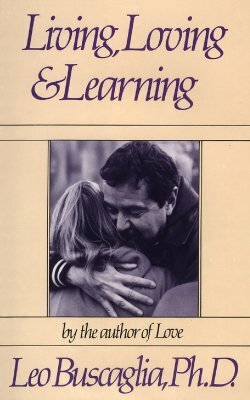 Pairing by George Bach and Ronald Deutsch, and other books about intimate communication and how to get along with another person. Loving Relationships by Sondra Ray. His Needs, Her Needs by Willard Harley. Brawshaw On: The Family by John Bradshaw. The Boy Who Saw True by Anonymous. Life Before Life by Helen Wambach. I Touch the Earth, the Earth Touches Me and other books by Hugh Prather. Through God's Eyes by Phil Bolsta. Multidimensional Man by Jurgen Ziewe. 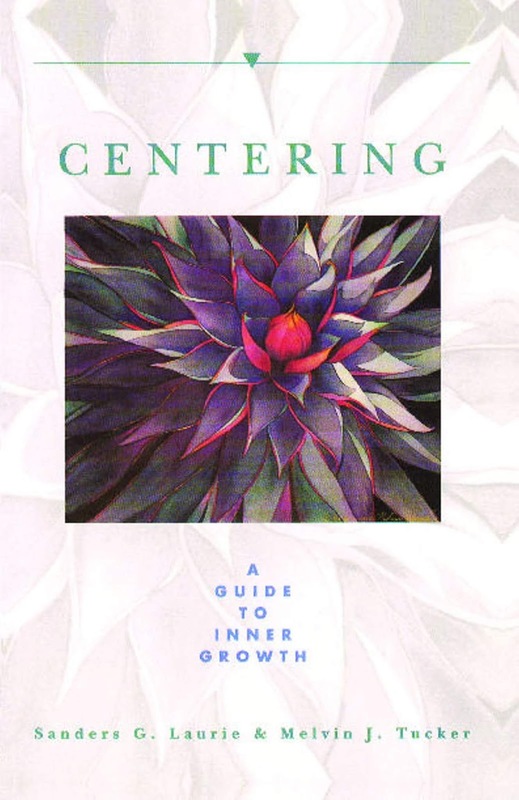 In the end I decided to choose a book most of you have probably never heard of: Centering: A Guide To Inner Growth by Sanders G. Laurie and Melvin J. Tucker. For a while there when I was young, I was pretty "far out there" in my spiritual journey. I was very ungrounded. Or, if you're a Shirley Maclaine fan, you might say I was way "out on a limb." This book taught me to re-center and re-balance myself. There's always a balance between physical life and the spiritual side, and that balance is necessary or life just doesn't work. So this book helped me to become grounded. Well, I hope you enjoyed this little walk-through of some of my favorite books of all time. They sure influenced my spiritual journey, especially when I was young and stuck with me. Maybe you can find some value in them too.